When you are looking for a veterinary clinic you should be able to count on superior care and excellent service. We at Dufferin-Steeles Animal Hospital have assembled an expert team of veterinary professionals to bring you the best possible healthcare for your pet. We have a state of the art veterinary facility which is clean, comfortable, and efficient. Once a year, you should take your pet in for a check-up. This will include a full physical exam, and may include teeth and gum cleaning if needed. The veterinarian will check the health of your pet from head to tail. Build an enjoyable, lasting, relationship with your new pet even before bringing it home. Go to www.B4UGetAPet.ca to check out some helpful tips. Call 905-532-0043 to schedule an appointment and we will find a time that is convenient for you. ​"My first experience was amazing. The vet and staff were super friendly and professional. I'm glad I found this vet for my puppy!" ​"Wonderful service and treatment to both Olivia and me. The doctor and staff are all very sweet. I'm very happy I found them!" ​"Dr. Somer is fantastic. It's is obvious to me that they care more about my dog then they do about selling services. My dog is very precious to me and money is no obstacle when it comes to her health and well being, all the staff know this but they never try to upsell. Karma is treated like gold and she actually loves going to the vet. Keep up the awesome work!" ​ "At this time there are so many pets to learn from, not even some govt.run hospitals for people get 5 stars! I can see a strong team and a dedication of service for the pets and the understanding and compaction to the owners/handlers, it's all good." ​"They saved my cat by correctly diagnosing my cat after a previous vet misdiagnosed her problems. I'd spent tons of money on drugs and an operation that didn't help my cat at all. It wasn't until coming to Dr. Somer that we got proper treatment. Wish I had found them sooner. Isis is now 17 and doing good." ​"5 stars and 10++. Would not take my pets elsewhere." "Amazing Veterinary Clinic with kind, compassionate and professional staff." 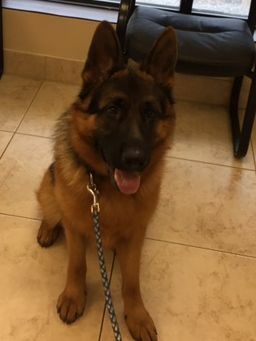 "I really enjoyed that the Veterinarian took her time with me and explained everything she was check as she was doing it and why she was doing it. This made me feel really comfortable with her and the care she provides to her animals." "I was extremely pleased with the service my pets and I received. There is many reasons. Great pricing, quick & courteous service, very clean facilities & you know they care greatly about your pets & our concerns. :)"
​ "EVERYONE AT THE CLINIC GOES ABOVE AND BEYOND FOR MY PET BRANDI. THEY TREAT US AS IF WE ARE PART OF THE FAMILY. I WANT TO THANK ALL OF THEM FOR EVERYTHING THEY DO. Everyone at the clinic is so caring and understanding. - I would highly recommend them to anyone." "I feel at ease and feel safe leaving my baby knowing she is going to be well taken care of. Dr. Somer and staff are supportive, considerate, compassionate, knowledgeable and always show how much they truly care. Love Dufferin Steeles!! Most importantly, Mesha loves them too!!!" "It is rare that one finds a veterinary clinic or hospital that one's are comfortable and content with. Both my cats have always been responsive and happy and I believe this reflects on the kindness, consideration and professionalism of the staff. I highly recommend Dufferin Steeles Animal Hospital! Two paws up!" "I wouldn't take Jax anywhere else"
"Simple, you are the best!You have been taking care of Bella for almost 11 years. We are so grateful for giving her the best possible treatment." "Because Fritz loves Dr. Charlene and the staff. He gets excellent treatment." "They go above and beyond. I am 100% happy with them. professional, friendly, knowledgeable, approachable, and most importantly, my dog loves every one of the staff." ​ "My dogs are treated like members of my family and the staff are very friendly. The care that my dogs have received has been outstanding." "Love the level of care and attention my pets and we get! The vet and staff are awesome!!!! Some of the best care my dogs have recieved!!!!!" 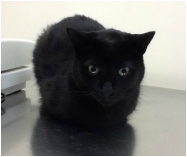 "The vet was very good with my cat and made her feel calm despite the fact that she is very nervous in new situations. My cat received a complementary nail clipping and the vet answered all of my questions." 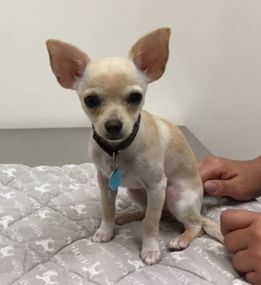 "Taco is my first dog and I was very pleased how the vet and vet tech carefully explained all the things I should watch for and showed me how to care for my dogs teeth, ears and nose. Extremely happy I made the choice to go to Dufferin and Steeles." "Dionysius feels very happy and comfortable when he visits Dr. Charlene and her staff - if he's happy, I'm happy. He is one of those rare dogs who actually doesn't mind going to see the vet." "The professionals here really care about your pet and any concerns you have with it; the follow up service is perfect. I expected to be called by vet assistant to follow up on ShiuNai's vaccination's after effect; but instead Dr. Somer called herself"
"This is the first place that the staff are super friendly, they interact with the pets and greet them as well. I love that they call us to follow up to see how our dog is doing and ask if there are any concerns or question. Great service and I can always asked them questions about any concerns that I may have with my dog or products. I always get my questions answered or I get ideas to try. My dog loves them! !Love the online service." ​"Dr. Somer's is excellent; caring, compassionate and very knowledgeable. Extremely accommodating which was greatly appreciated during the stressful time leading up to a pet's diagnosis and treatment." ​"Very courteous and friendly staff. Provide lots of info and listen to our concerns. No question ever goes unanswered. Very happy with services. Great follow up all the time. Always great service and show great care and love to Merlin. Great place. He too loves his visits." ​"Great place. Great vibe. Great staff. Been a client since I got my first cat 5 years ago. Now I have 3. They all feel relaxed on their visits and leave happy. I'm very lucky to have an awesome vet so close to home." ​"Best clinic in North Toronto! Great service at a reasonable price. Parker loves coming to see Dr. Somer"
"All the people are caring and friendly and I trust Dr.Charlene with my heart which is Domi my dog." "Amazing team not pushy very knowledgeable always accommodating"
​"Everyone at the clinic is so lovely and I feel like they truly care about my cat's well being." "The staff is very knowledgeable, courtesy and friendly, not just to me but to my dog. They actually care. After a visit, I will always receive a follow-up call by the Doctor. I would highly recommend "Dufferin Animal Hospital" to all. Luke agrees"
"Always great service, great staff!" "I get the best care possible for my dogs and they really care. Dr. Somer has cared for my dogs for almost 10 years and I have always been satisfied with their care." ​"Always professional and friendly. Staff always take a personal interest in our little guy." "The hospital is very clean and staff are always courteous and prompt. Your knowledge and consideration with our pet is noticed and appreciated. We never feel rushed and are very grateful for your patience in answering all our questions." ​"The clinic is always spot on clean with great service. Always kind and patient with myself and my pet." ​"Both Dr.Somer and front desk staff were very knowledgeable about my 4 week old puppies. They were extremely friendly and concerning towards myself and my pet. I would recommend this animal hospital to anyone." ​"My dog is happy to see you"
"Charlene is INCREDIBLE and took personal care of me and my puppy." ​"-most importantly Darcy and Pablo (cats) are comfortable during their visit with the veterinarian. -I always leave there knowing that Darcy and Pablo were in good hands and taken care of"
​"Coco and Jill are well looked after"
​"Dr. Somer and her staff were extremely patient and caring towards my cat, as he is normally very scared and aggressive in a veterinary environment." "I was seen promptly by the vet at my appointment time. She was pleasant and spoke with me for a long time about the plan for my cat to lose weight. And she provided a follow up call to make sure we were following the diet plans for my cat at home!" ​"You all do an amazing job. Thank you for your wonderful service . I come all the way from up north because I love your services and the way you treat me and my dog. Keep up the great work." ​"Grooming & caring of Jaws. Great communication and updates from Dr. Somer herself in medical checkups. Passionate, caring, understanding and loving staff! Comfortable boarding & pictures of Jaws Keep up the great work!" ​"​Knowledgeable and compassionate staff. Would never dream of taking my pets anywhere else. So happy to have found them." "Even though sometimes we take our pets to the vet due to illness and it's stressful ,I always feel confident I am getting the best advice and I understand what is expected to get them better. I recommended my friend and they where very happy." 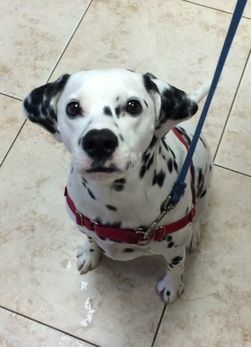 ​"Dufferin-Steeles Animal Hospital is what the standard of veterinary care should be. Everyone here is incredibly kind, calm, professional, and caring toward both animal and their people." ​​"It is always a pleasure to come to see Dr. Somer and the staff. Dr. Somer and the staff are always very friendly and I love the follow up phone call from Dr. Somer to see how my furbaby did after any treatments." ​​LOVE YOU GUYS!!! ALWAYS FRIENDLY AND ANSWERING MY QUESTIONS....THANK YOU! ​"Most friendly and compassionate animal hospital I have been to. I'll be sad when I move out and need to find a new place again." "You guys are very friendly and knowledgeable. Also very caring. 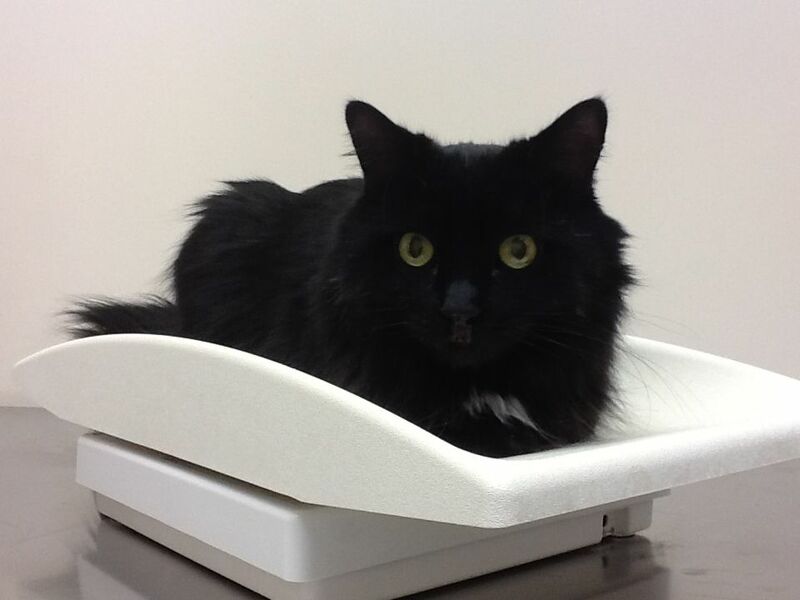 I didnt feel like our last vet over at Silver Star Animal Hospital was caring." "Best vet in Toronto! I called in with an emergency and instantly they calmed me down and told me I could bring Peter Parker in right away. My dog was taken care very good care of with very little wait time and at an affordable price! Love this clinic"
"Best vet I have ever been to." "On every visit, I feel that Dr. Somer and the staff care about my dog and about what is best for her. They listen to all questions and concerns and provide helpful advice." "-Flexible in setting up and if needed changing appointment times. - Vet is friendly and answers all questions. - Friendly front line staff calls to remind of appointments and to check up on animals the day after. " "Knowledgeable vet and friendly staff! Great service. 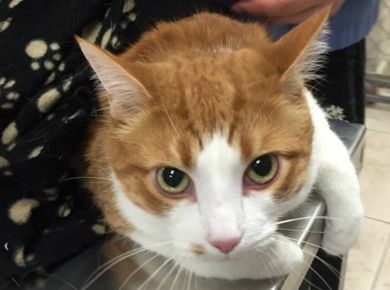 I went in for my cat's urinalysis getting a cycto and fortunately they got it in first try so I did not have to leave my cat at the hospital." "Everyone I have met has been so friendly and I feel so comfortable bringing my precious fur-babies in for checkups and treatments. We are all treated like family!" "My dog, Mia, was taken care of and handled well by the veterinarian and the technician. They were prompt in notifying me of Mia's test results and I am very pleased with the visit." "Wonderful and caring first visit. The explanations of my concerns were detailed and to a level I could understand. My pet was super comfortable during the visit, not stressed at all, she even fell asleep. Next day check-up call was a great surprise." ​"Friendly environment. Both Doctor and staff care greatly for the animals and show respect toward both animal and owner. Very welcoming place to have your loved pet looked after. Great service and Dr. Somer is very caring to our Josiah and our past family members - Jesse, Zeus, and Pokey." ​"I really appreciate the personal follow up from the doctor after each visit." ​"Patient, friendly and personalized service. Obvious care and interest in the welfare of our pets. Appreciate the follow-up phone calls and detailed explanations." ​"​Excellent care from everyone on the team and really appreciate the follow up phone calls." "High quality of care and you always have the chocolates I like:)"
"Nicole was so nice to ask for Chloe to be squeezed in, there was no wait time and everyone was very friendly"
"Kelly, Nicole and Dr. Somer, and Dr. Shira are all great. They are friendly and knowledgeable and really care about animals! They always follow up when they say they will and are easily reachable in phone, in person or through email." "The most compassionate, caring, and professional Veterinarian and Staff I have experienced. So fortunate to be a client"
"Service was professional with knowledgeable staff. Very friendly and welcoming for new pet owners." "Love you guys! Always looking after my beloved fur baby!❤️"
​"The staff at Dufferin Steeles Animal Hospital always goes above and beyond, they're incredibly kind and knowledgeable and I know I can trust them entirely with my pets. The clinic is spacious and always clean. I recommend DSAH with great enthusiasm!" "The doctor was so professional and at the same time welcoming and extremely thoughtful toward both my puppy and myself. It was clear that the doctor knew everything about the wellbeing of puppies and shared her knowledge willingly. Thank you so much"
"Friendly staff ,cozy waiting area and you feel The love for pets ♥️ Luv your coffee !! If I have to bring my kids they like the books and colouring books , and my kitty is healthy and happy. I had many pets and may experiences with other veterinarians this is the best %100"
"People who care.about the well being of my pet." 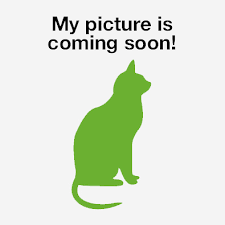 "Moving from Montreal to Toronto I went to Baker Animal Hospital for over 46 years for all my previous and current cat, I did not think I would find a comparable veterinarian or animal hospital here in Toronto. I was wrong! Phenomenal Treatment!" "Caring and courteous. But most of all because they are a no de-claw clinic which speaks highly of their care about animals over profit"
"You guys are great! Always looking after Max. Always in touch be it to advise me of appointments due or any specials or updates." ​"The DSAH team is always great! Burnie goes in a little reluctantly, but after a few minutes, it is hard to get him to leave -- he loves the team so much!" ​"We had an urgent care (but non-emergency) situation and Dr. Somer made time to see us and care for my dog. She didn’t rush us out and took the time to explain everything and answer my many questions." "My cat and I loved the clinic and the staff!" "Staff were extremely friendly and provided all the information in a very kind and comprehensive way." "​Able to accomodate us when we were late due to highway closure and were very welcoming. I had some concerns about my dog's nails and they were clipped for no charge. Always a great experience for us even on blood draw days :)"
"The staff is amazing! They always treat my animals with the most love and care! Thank you all!" "The entire team makes me feel like my dog matters to them. They know her and her personality, so when I'm worried about something being wrong they can tell because they see her change in behaviour too. i trust them with my dog." "​They took great care of Regis during his surgery and followed up by phone. Unlike his previous vet, Regis is no longer scared to arrive at the clinic and is generally comfortable being there. Thanks :D"
"My cats are very relaxed during their visit. Getting there is a different story, they hate traveling but love the vet when they are there." "​The staff is always very professional and courteous towards me and Gilbert. Dr. Somer is always very professional and courteous and she looks after Gilbert with the utmost care. The staff always checks in on Gilbert's health after all procedures"
"The staff at Dufferin-Steeles are lovely. They were patient and listened to all my questions, and were flexible to accommodate my schedule when booking appointments. They clearly disclosed all prices upfront so there were no surprises after the visit"
"​5 *'s -- you are all so caring and loving with our pets. We so appreciate your concern, advice and support!!! Thanks again." "​THE ENTIRE TEAM CARES AND TREATS MY DOG LIKE FAMILY.."
"If my pet is happy, I am happy"
"​It's a very easy going experience, the staff is knowledgeable and super nice! I've been buying the food from here as well. Overall I'm very happy bringing my cat here!" "Dr. Charlene Somer and her team truly care with ongoing follow ups, friendly reminders and check in’s. I have a clinic right down the street from my place but nothing compares to the family we’ve created!" 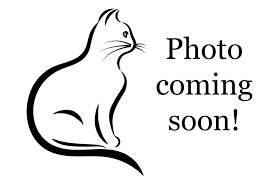 "Bentley was well taken care of and feels comfortable going there that says it all for me"
"Dr Somer is very intelligent and so friendly and compassionate with my cats. She explains her decision making process and is up to date on veterinary medicine." "Great care shown for pet and owner." "As a first time pet owner they Make us feel comfortable and secured. The wellness plan they have is very helpful for our budget. They treated us very important client and the doctor she's very nice and knowledgeable. Thank you so much." "Dr. Somer is kind, patient, and has a very common sense approach"
"We feel very comfortable in taking our daughter there, Olivia enjoys it too, their care and service is excellent. Clean, friendly, professional and all our questions and concerns are answered promptly." "Wonderful, caring staff. Everyone seems to actually love what they do, and it shows in the quality of care they provide." "Wonderful, attentive care has been provided every time we've visited. The vets love what they do and it shows in how they deal with the clients." "My pets don't mind going to the vet! They feel very at home in the space and with all the personnel. What more can a pet mom really want? They treat the humans with the same respect and care too." "​Dr. Somer is very practical and acts in the best interest of the animals without over-investigating or over-treating"